Video management software (VMS) forms a key part of surveillance or security system and is used in collecting video feeds, recording, and storing the data, and also provides an interface to view and access the video. Surveillance systems powered by video management system helps in keeping residential and commercial facility safe. The integration of VMS software with a range of third-party devices and applications such as video analytics, fire alarm systems, and intrusion detection systems bolsters the capability of the overall surveillance system. Such integration features allow VMS to be popularly used for unifying the camera views across the property and further help facility managers deal with emergency situations. A unified VMS is useful in merging analog and IP video technologies and proves to be a cost-effective way for businesses to expand the surveillance operations. Any number of digital cameras can be integrated within the VMS depending on the needs of the users. It helps in managing critical administrative tasks concerned with video management. With the application of closed-circuit television (CCTV) cameras and Internet Protocol (IP) network cameras gaining traction in the security and surveillance market over the years, the demand for VMS will also gather substantial pace. The soaring popularity of these cameras controlled by VMS can be attributed to robust features these have, thus leading to heightened situational awareness. Such competencies enable the cameras to capture high-definition videos that may be used by law enforcement agencies to identify and nab intruders and culprits. The scalability and cost-effectiveness of VMS accounts for the rising popularity among facility managers. Video management software (VMS) is an integral part of any surveillance system. It aids in managing camera and recording settings, viewing multiple camera feeds, and alerting in case of tampering and motion detection. Video management software can also review and analyze recorded video providing important information. For instance they can track customer movements and help detect suspicious activities. They are leveraged for keeping a tab on behaviors, activities, or other real-time information for inspection, security, and safety by means of electronic equipment, such as Closed-circuit Television (CCTV) cameras or Internet Protocol (IP) network cameras. At the forefront of driving growth in the global market for video management software (VMS) is their easy installation process and growing use of IP videos. Others factors stoking growth are third-party integration with other digital business systems, rising concerns over security worldwide, and increasing penetration of video surveillance in a wide range of applications. Countering the growth in the market, on the other hand, are concerns pertaining to storage of high-resolution videos and recordings and privacy issues. Based on the various types of solutions, the global market for video management can be segmented into custom application management, video intelligence, advanced video management, storage management, data integration, navigation management, intelligent streaming, custom application management, and security management. Among them, the advanced video management is predicted to have maximum market share in the foreseeable future because of its use in video monitoring system. Video management primarily entails collecting videos and handling recording, video routing, event management, and integration of other functionalities in the video monitoring system. Depending upon technology, the market can be broadly segmented into analog-based VMS and IP-based VMS. Of them, the IP-based segment is predicted to gain most market share in the near future. This is because IP cameras have wide-ranging features, cost relatively less, have high image resolution, and scalability. This growing uptake of IP cameras by end-users and enterprise customers has been pushing growth in the global market for video management software. Open platform VMS underpins IP cameras with onboard analytics that accord greater business intelligence for surveillance systems. From a geographic standpoint, Asia Pacific is slated to outshine all other regions in terms of growth on the back of swift uptake by end-users and enterprise customers of IP-based and cloud-based video surveillance solutions. The growing popularity of smart city projects and intelligent transportation systems, particularly in the fast-expanding developing economies of China and India will also likely boost the market in the region by driving demand for different VMS applications. Transportation, retail, sport stadiums, government, and Banking, Financial Services, & Insurance (BFSI) are the main end-users in the VMS market. To assess the competition prevailing in the global market for video management software, the report analyzes major players such as AxxonSoft, Milestone Systems, On-Net Surveillance Systems Inc., Aimetis Corporation, Exacq Technologies, 3VR, Verint Systems, Genetec, Salient Systems, and March Networks (Canada), who provide VMS solutions to entities to cater to their different security needs. 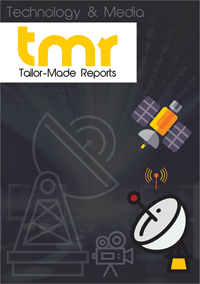 The report studies their product offerings, revenues, market shares, and growth scope in the near future.